Royal Canin Feline Health Nutrition Home Life Indoor 27 Cat Food contains highly digestible protein (L.I.P. *) and helps reduce the quantity and odour of stools. 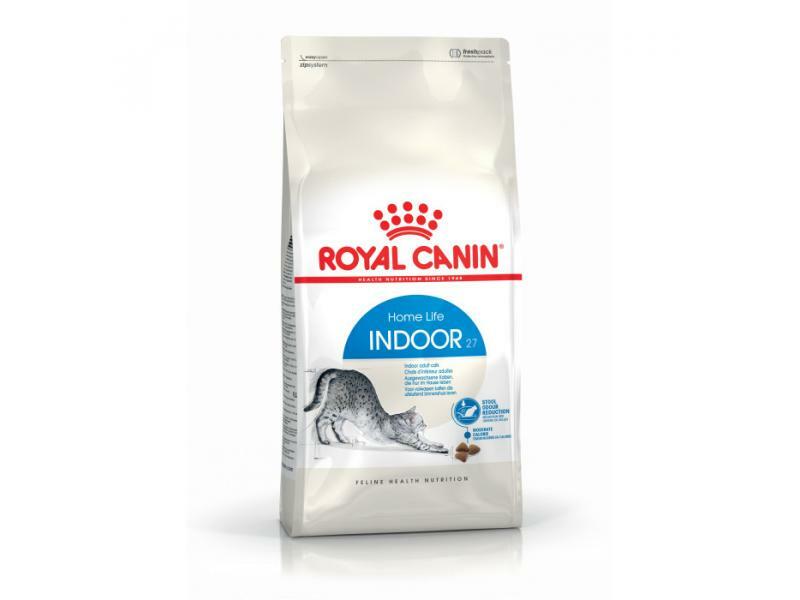 Made with a moderate fat content adapted to lower activity of indoor cats, as well as help stimulate the elimination of ingested hair thanks to specific fibres including Pysllium. Suitable for adult cats living indoors from 1-7 years old. Stool Odour Reduction. Moderate Calorie. Hairball Reduction. Dehydrated poultry protein, rice, wheat, maize, vegetable protein isolate*, animal fats, hydrolysed animal proteins, wheat flour, vegetable fibres, beet pulp, yeasts and parts thereof, soya oil, minerals, fructo-oligo-saccharides, fish oil, psyllium husks and seeds (0,5%). Below are some recent questions we've received regarding Royal Canin Feline Health Nutrition Home Life Indoor 27 Cat Food, including answers from our team. Most Royal Canin food we sell is manufactured either in England or in France. However we cannot stipulate where any individual product comes from.